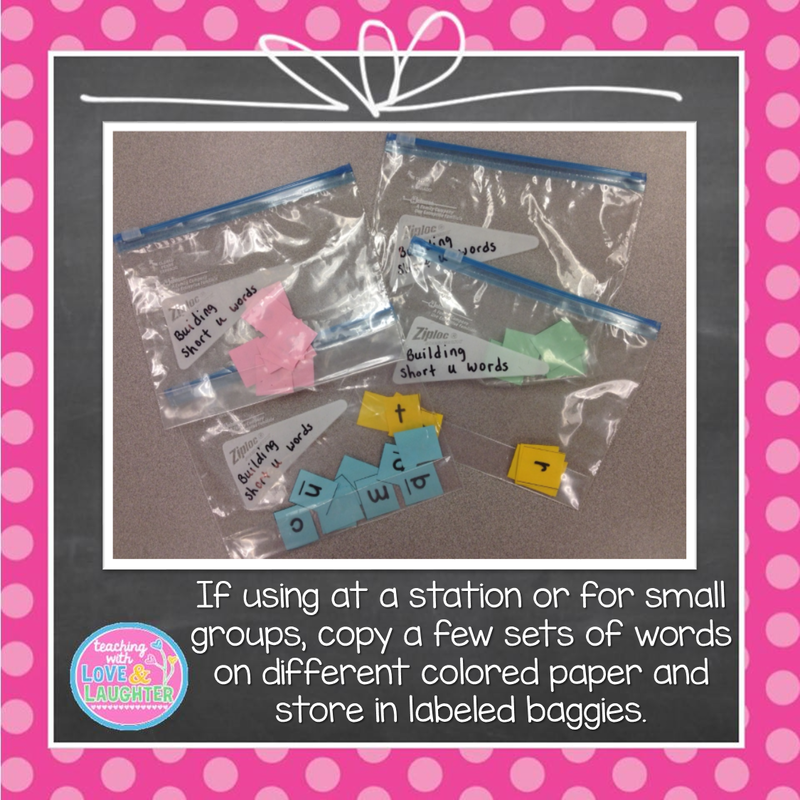 In addition to using printables at my stations, I also love to use engaging, meaningful, hands-on activities. 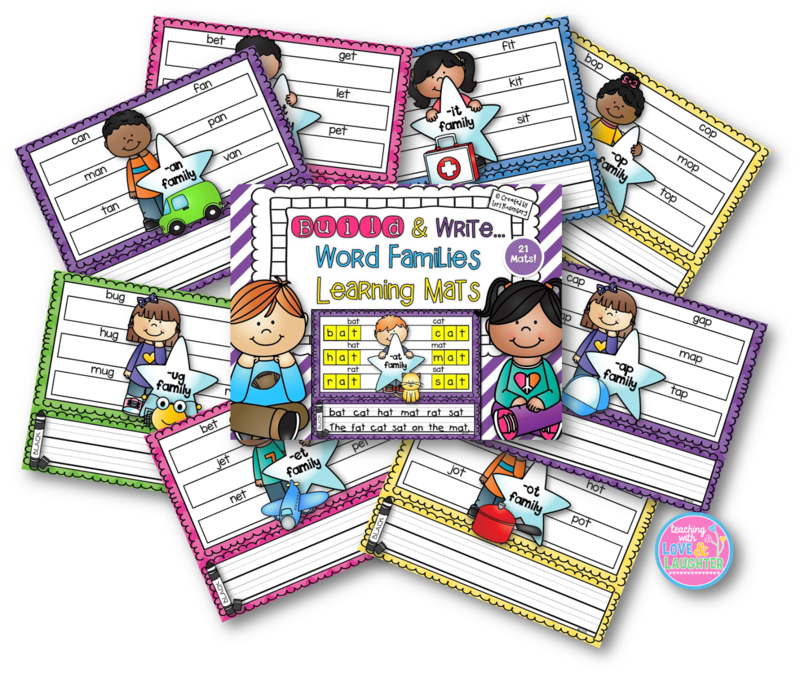 The children love to manipulate letter tiles, clothespins, spinners, dice, paper clips, dry erase markers, and anything else they can get their hands on! While working, they are thinking critically, communicating and collaborating with their peers, all while being thoroughly on task and motivated. 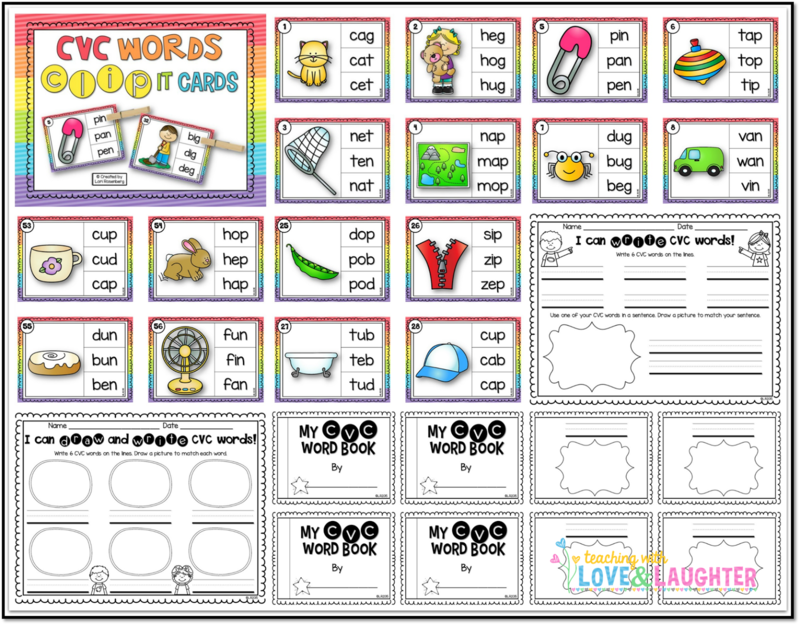 These 21 word family mats are so much fun and help my children learn and practice the most popular word family words. 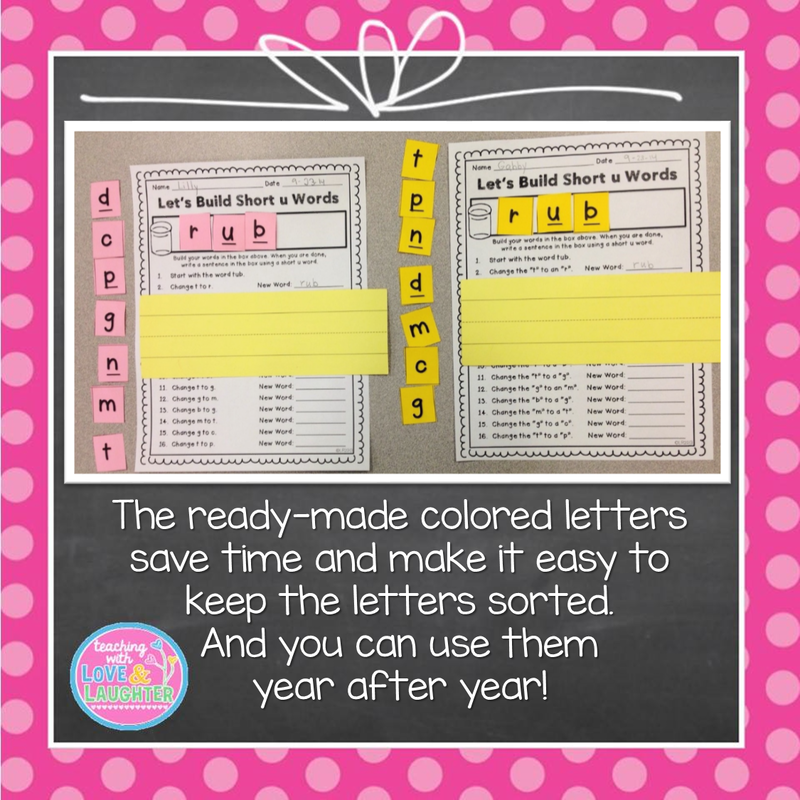 Students build the words with letter tiles, letter beads, or write them with dry erase markers. 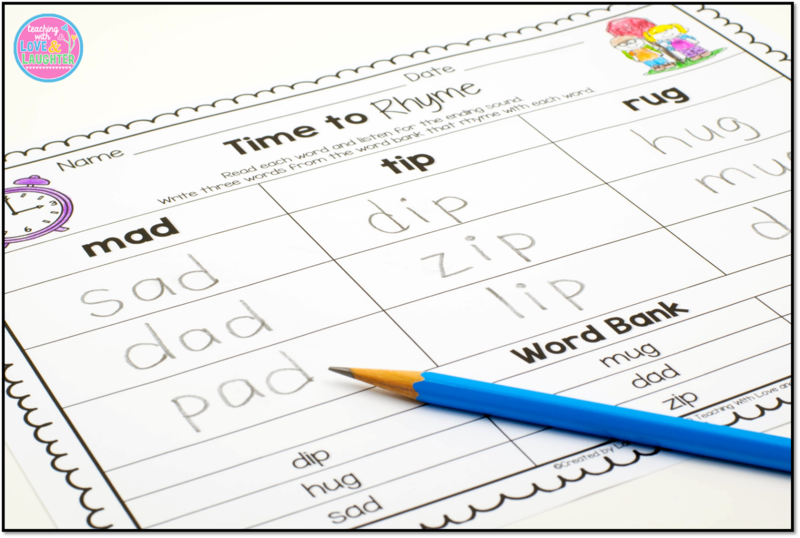 Then, they practice writing the words or use them in sentences. 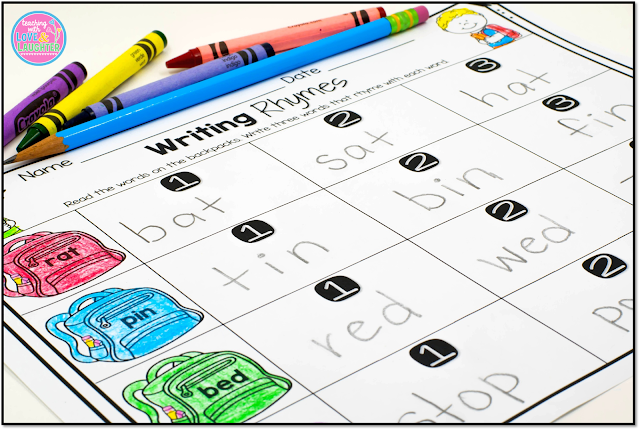 I keep them in a bin at my phonics station. 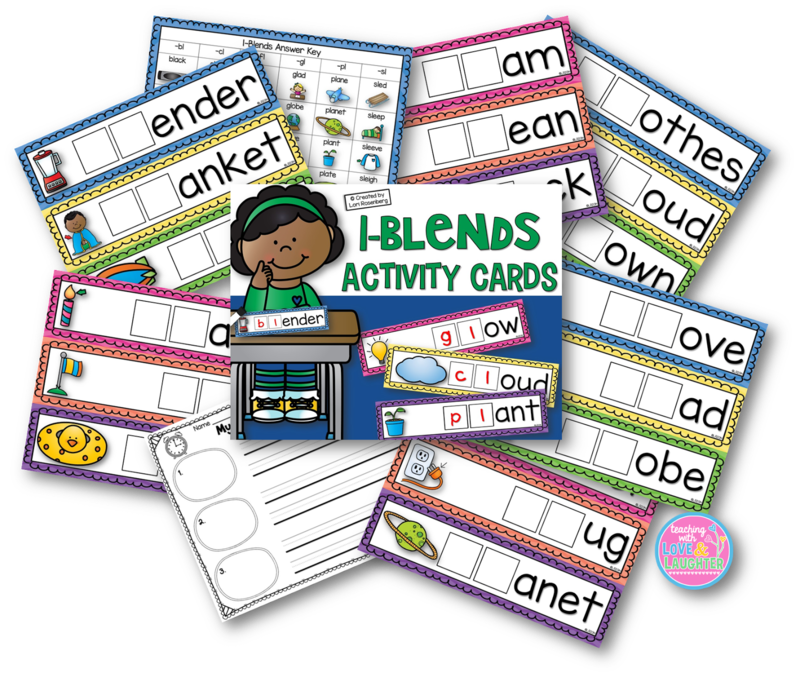 These 100, colorful cards, are also a lot of fun for my students. 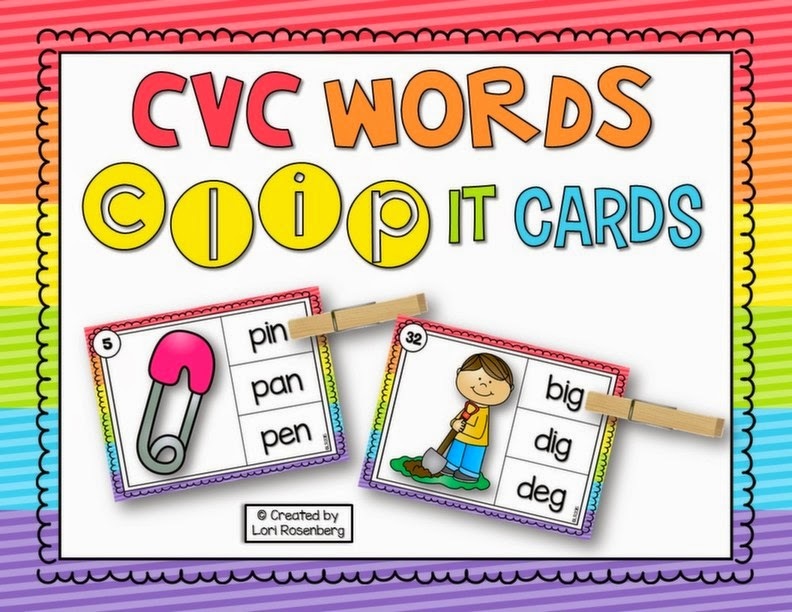 I keep them in a bin, with plenty of clothespins (which are so inexpensive) and my students read the words and clip the words that match the (very cute!) pictures. 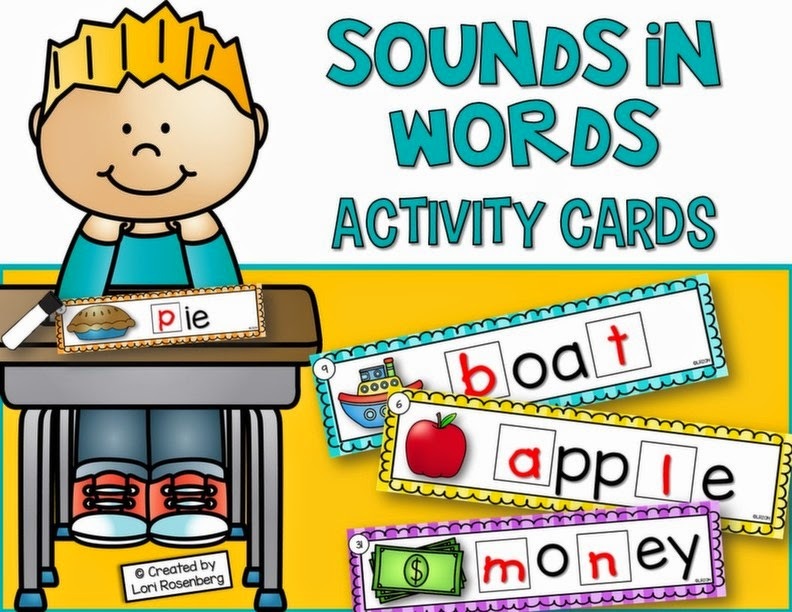 These cards help my students learn and practice beginning, middle, and ending sounds, as they segment and blend the words. Since there are 100 cards in all, this is a great activity for the entire year. Recording sheets are included. 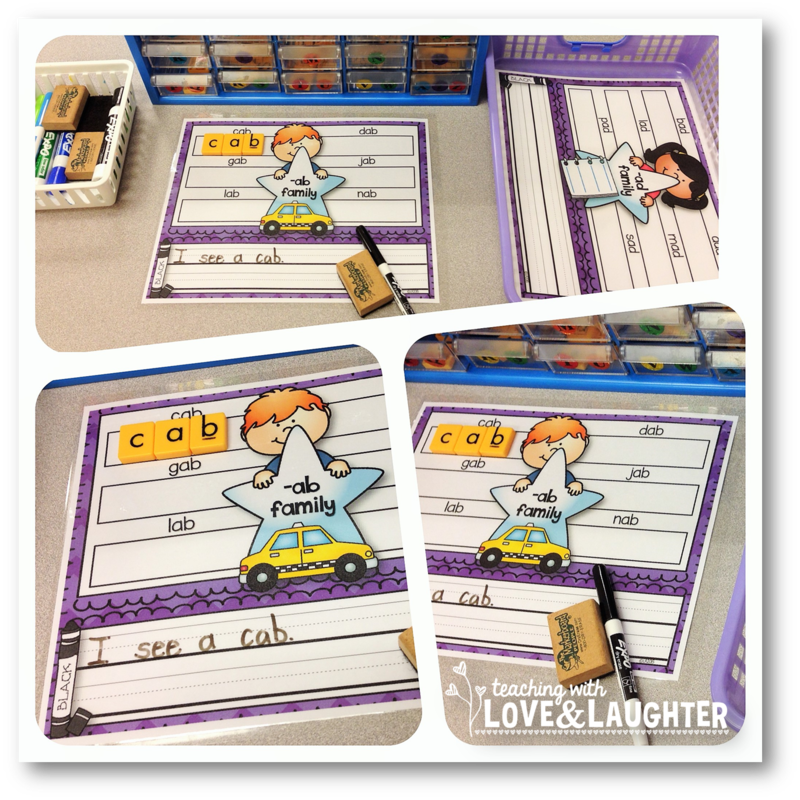 I cannot live without these sight word mats! 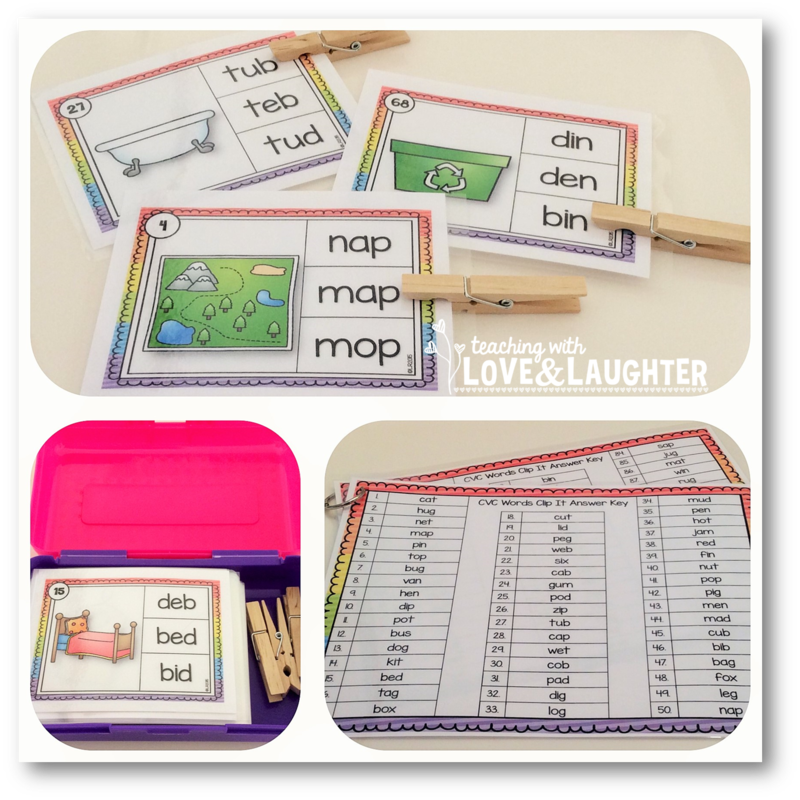 They are aligned to the Journeys reading program, and help my students learn and practice their weekly sight words. 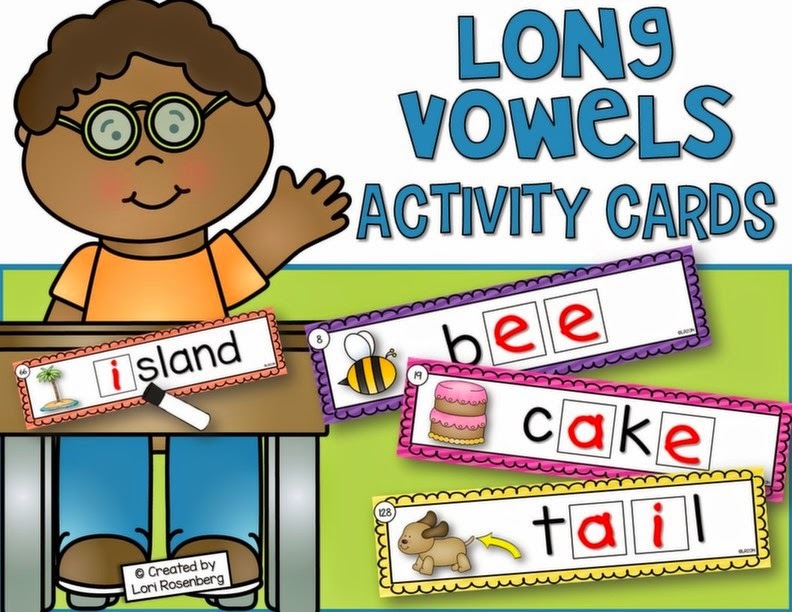 They build each word with letter tiles, letter beads, or write them with dry erase markers. Then, they practice writing the words or use them in sentences. 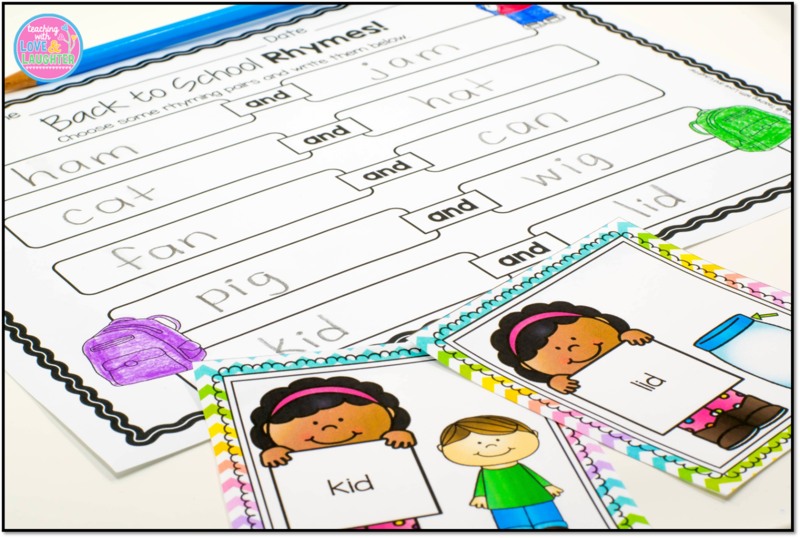 I keep them in a bin at my sight word station. I included a set in black and white for those of you who don't like to print in color. 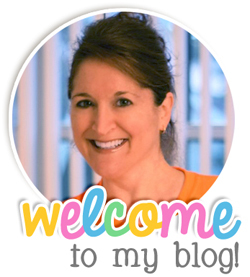 I always print in color because I love the bright and cheery look. 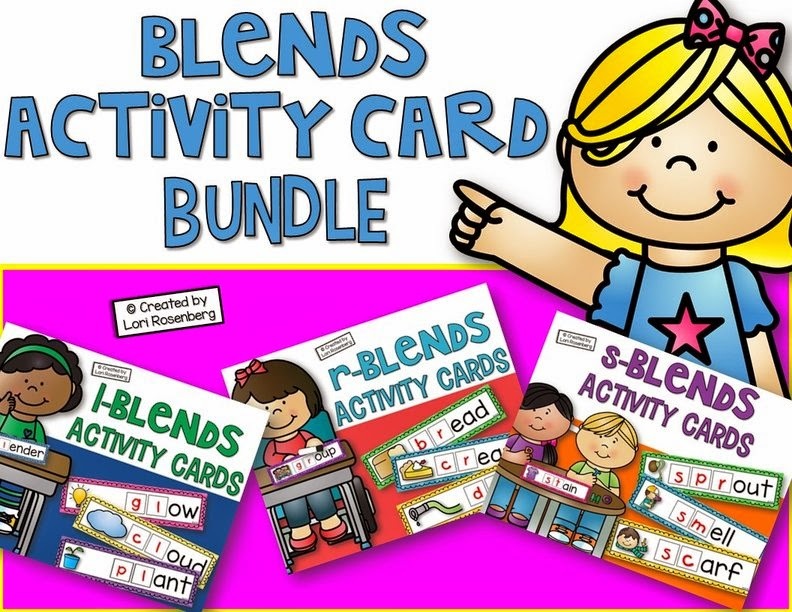 These activity cards are a HUGE hit and a HUGE lifesaver in my classroom! 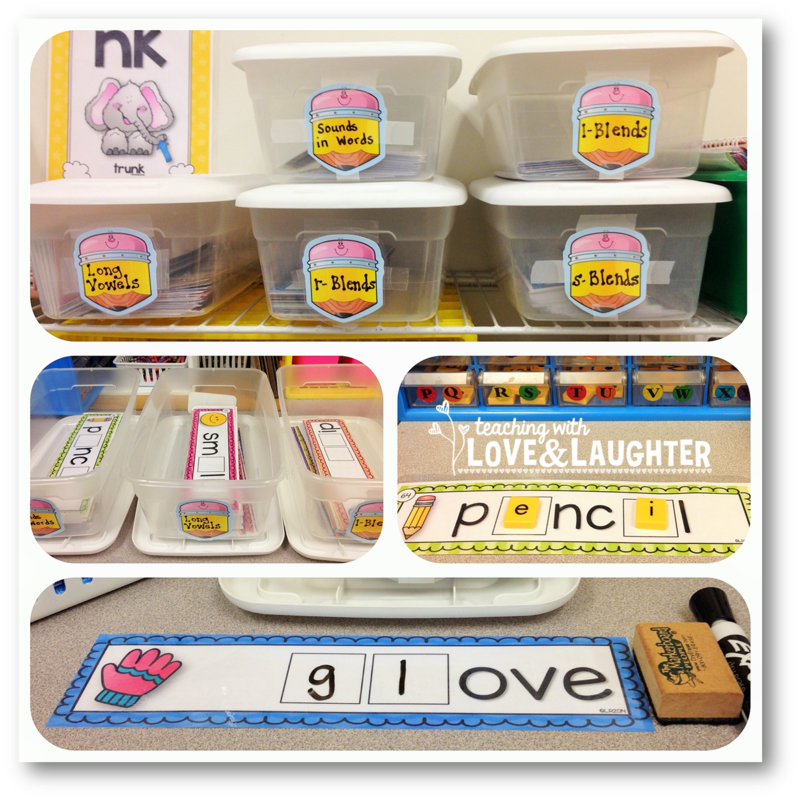 I keep them all in labeled bins at my phonics station. 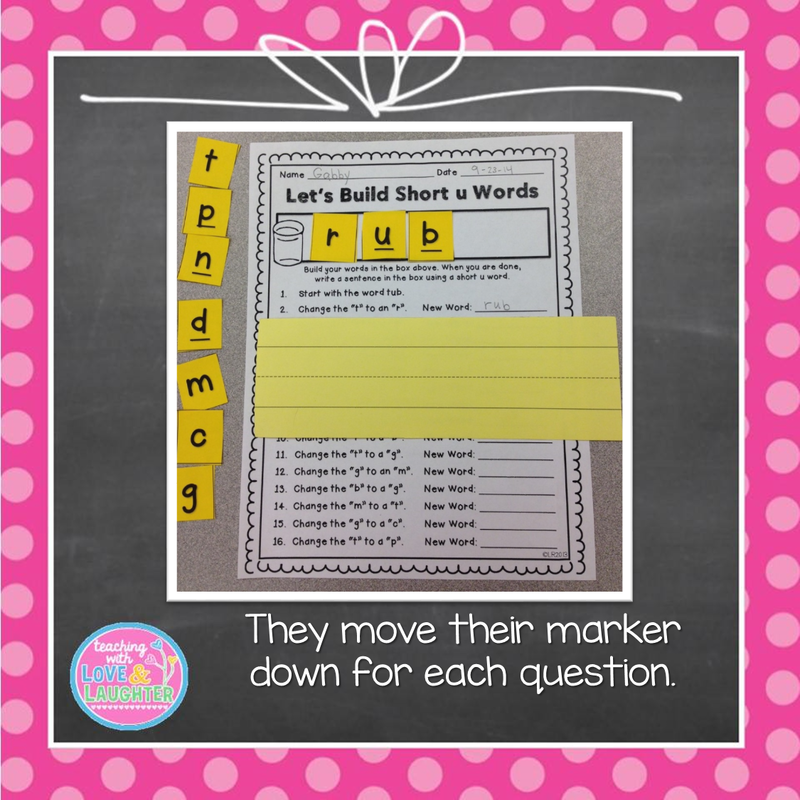 Students grab a bin and use letter tiles or dry erase markers to build the words. Answer keys are included, so they are self checking. There are recording sheets included, but I don't always use them. 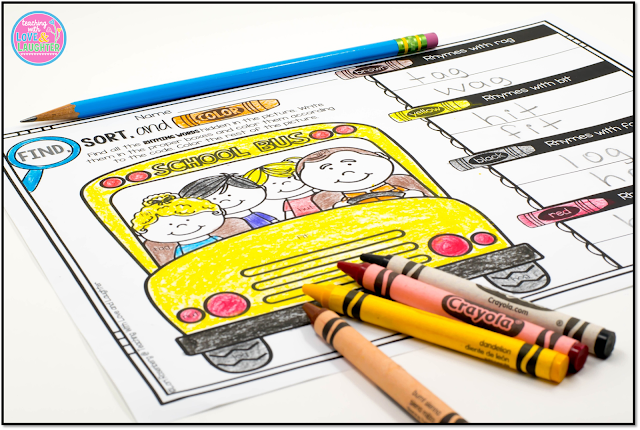 There are tons and tons and tons of cards, so this is another great activity for the whole year. 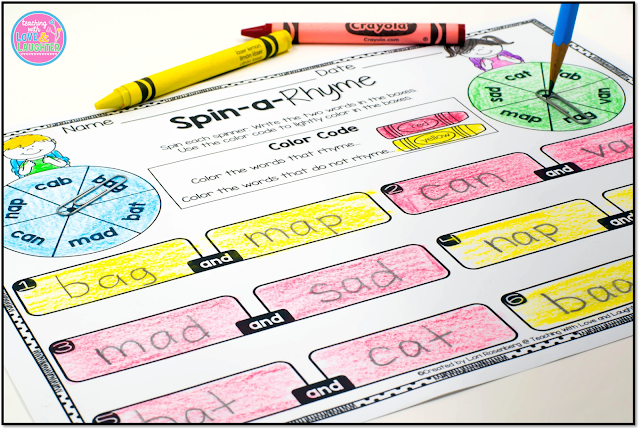 And, the last thing I'll show you, are some rhyming activities. I created rhyming activities for every single month, so my students can practice rhyming all year long. The images below are from my back to school edition. 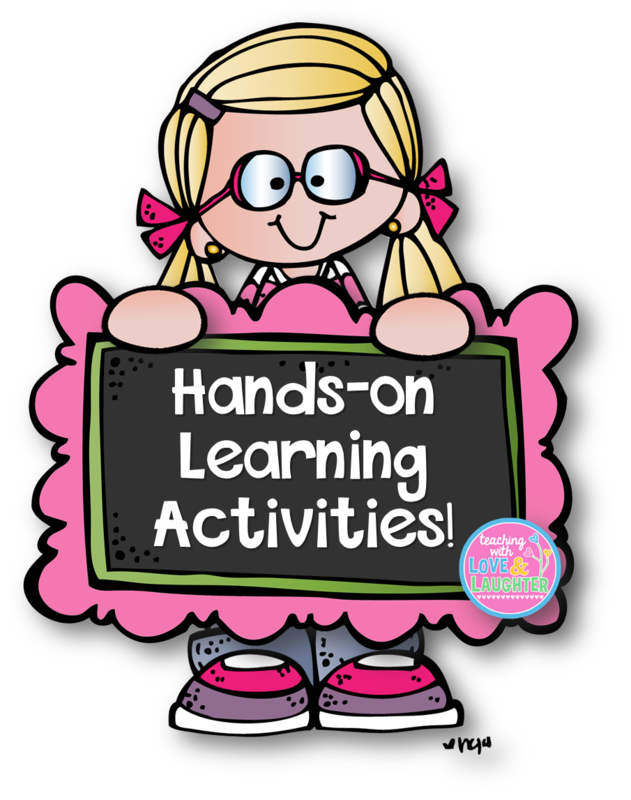 I have many, many more hands-on activities for young learners. 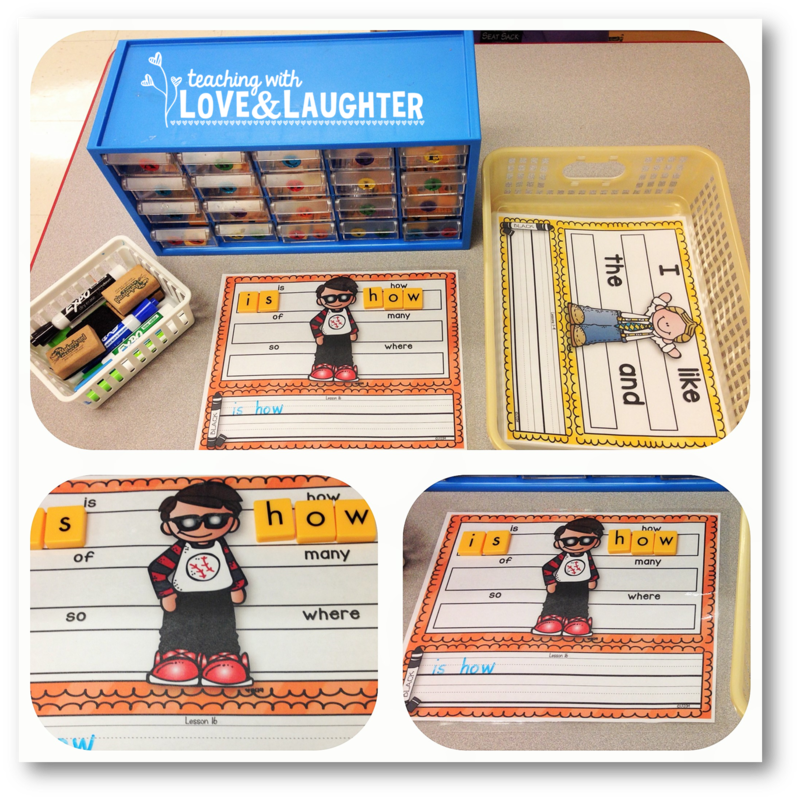 My stations are always stocked for the year and I hardly ever have to plan each week. All these activities make it easier for me to write out sub plans. When I'm out, my students can easily spend 20 minutes at each of their 6 stations, using the activities that are always there. There's no greater feeling than always being prepared and organized. Right? 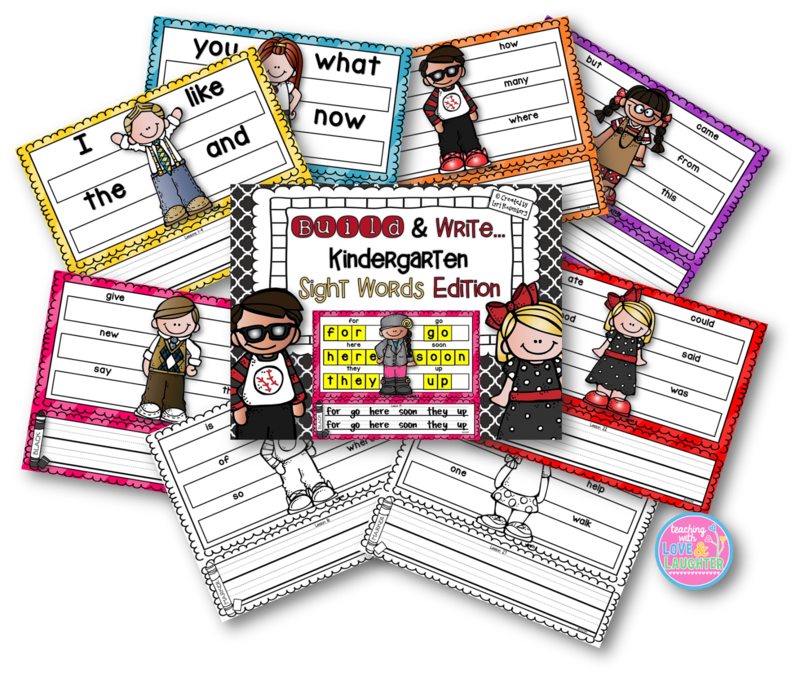 One of my favorite educational supply companies is Teacher Created Resources. Recently, they contacted me and asked me if I wanted to try out some of their magnetic labels. I jumped at the chance, of course! Right away, I knew what I wanted to do with them. I use the Marzano scales to check for understanding. I decided this year that I was going to use the scales predominately to access my students' understanding of the weekly phonics skill(s). Up until I had these magnets, we were doing frequent heart checks. I would tell my students the learning goal for the week and articulate the specific target goals for each score. Then, my students would hold up 1, 2, 3, or 4 fingers. 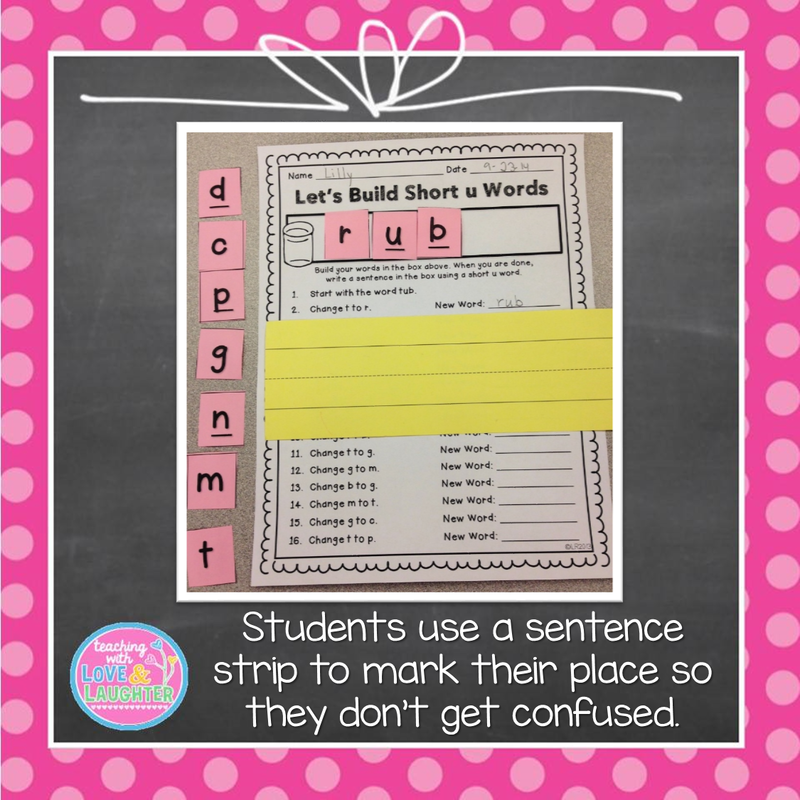 This was working well, but once I saw these magnets, I knew they would make a wonderful addition to my showing my understanding anchor chart. This picture shows part of my focus wall. 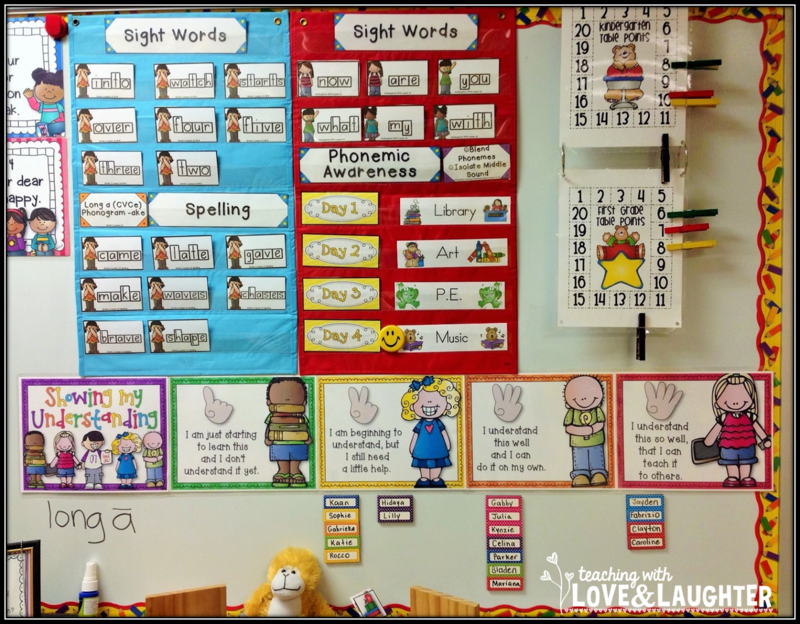 On the bottom of the picture, you can see my showing my understanding anchor chart. I labeled each magnet with my students' names. Now, after I articulate each target goal, my students place their magnet under the score that best describes their ability at that moment in time. My target goals are very specific to the skill being taught, so my students know exactly where they score. 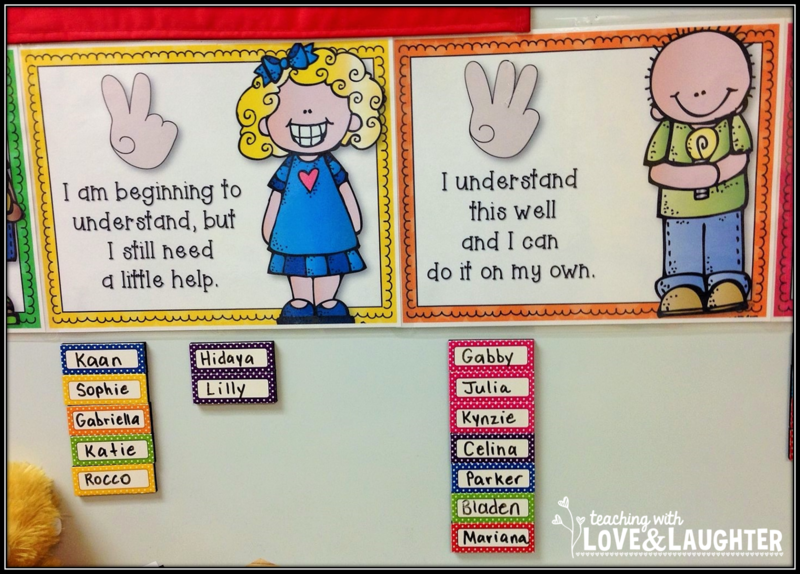 I love how this display is very accessible to the children, as it allows them to move their magnet when they feel they are ready to move to the next score. The children enjoy being in charge of their learning and monitoring themselves as the week goes on. This display makes it very easy for me to help track my students' progress, give extra help, if needed, and celebrate success. 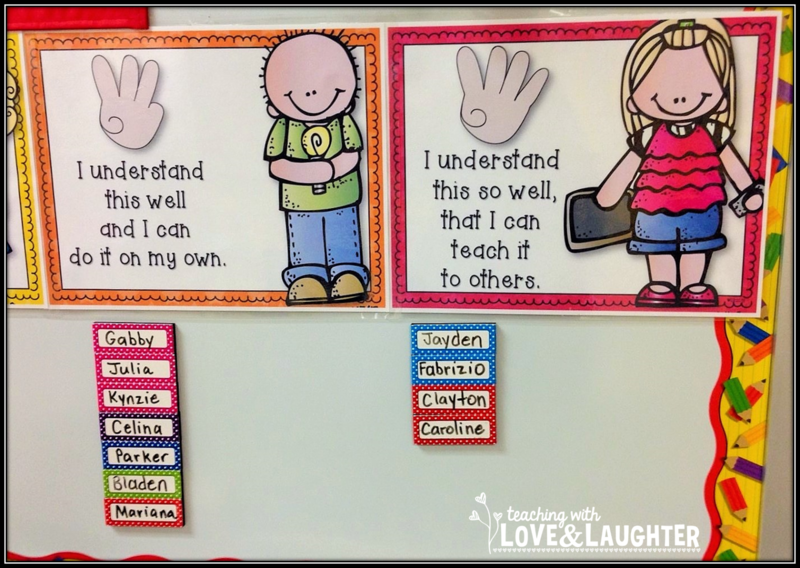 If you are interested in purchasing these magnets for your classroom, you can find them here. They come 30 to a pack. You can use the rest for other things, like I do! 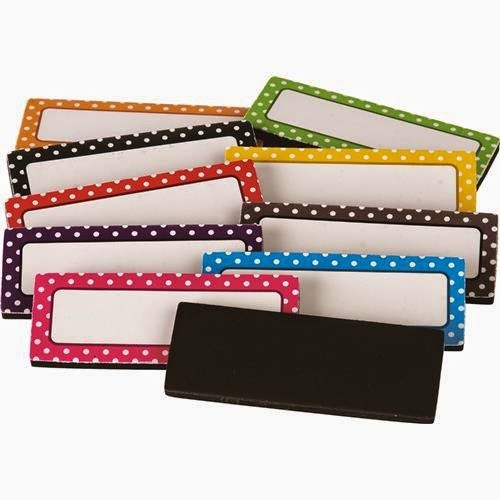 They are easy to write on and wipe off, and the magnet is powerful. 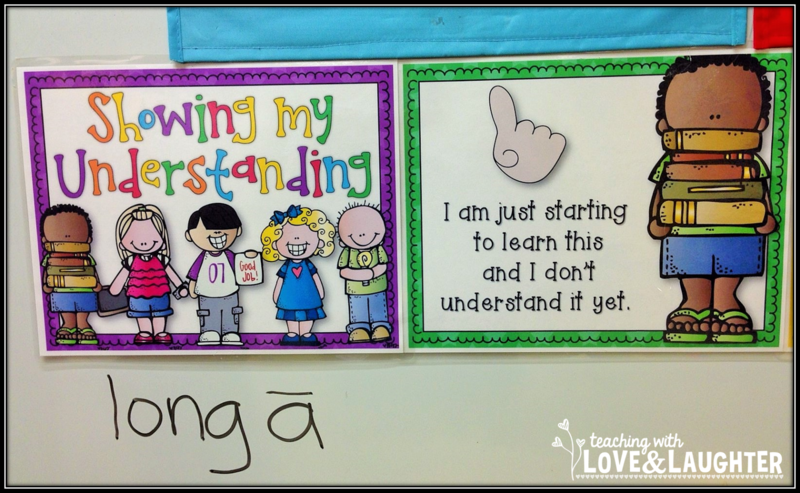 If you are interested in my showing my understanding anchor chart, just leave a comment, with your email (or email me!) and I'll send it to you.